Job interviews can be a struggle. On one hand, you’ve successfully navigated yourself from the application stage to the interview. Chances are high you’ve made it considerably further than others who were vying for the same job. But, you still have to stand out amongst the other interviewees; you must prove you have the skills and experience you say you do to successfully land the job. One question you may be asked is, “Where do you see yourself in “X” number of years?” It could be three, five or even ten years. The reason they ask you this question is usually to see how ambitious a candidate is; they want to know if you have realistic expectations for the job and their future. If answers like, “Running the place,” or “In your job” come to mind, you’re shooting yourself in the foot. You may feel an answer like this shows you are ambitious and growth driven, but the hiring manager doesn’t have a lot to back this up. This is, after all, an interview to get to know a candidate better. The line between confidence and arrogance is a fine one. You don’t want to give an answer that leaves the hiring manager trying to figure out which one you are. Definitely never say something like, “Somewhere else.” If this is the case, why apply here in the first place? You should instead use a formula that conveys your goals and ambitions in a less off-putting manner, that communicates realistic expectations for growth, but expectation none the less. When practicing your answer, focus on where this role could potentially lead, and if that path is aligned with your own expectations. For example, a candidate could indicate that five years is an adequate amount of time to gain a deep understanding of the industry. With this deeper understanding, they would expect more responsibility and potential leadership opportunities which is exciting because they feel they have benefited from great leadership themselves. So, if you’re mulling over how to answer this question these are some great tips. And if you’re needing help on your journey to find a new position, reach out to one of our great recruiters here at JSG. 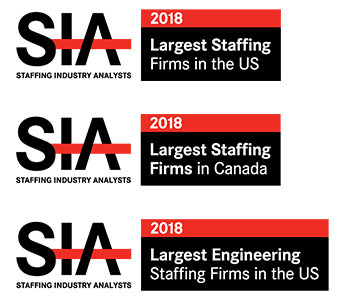 https://jsginc.com/wp-content/uploads/2019/04/bigstock-Business-career-and-placement-244175761.jpg 1067 1600 Gaige Baisch https://jsginc.com/wp-content/uploads/2016/06/JSG_Logo_Tagline_Sept_2015M.png Gaige Baisch2019-04-24 19:14:572019-04-24 19:14:57Where Do You See Yourself in “X” Years? If you find yourself in a job interview in the near future, there is a high chance your interviewer asks something along the lines of, “Why do you want to work here?” We live in an age where technology connects us in more ways than ever and sites like LinkedIn can provide some transparency into a candidate’s life. However, this interview and question still exist to create insight into the type of employee you would be. Making someone share why they want this job at this specific time can reveal if you are a serial job hopper or an awesome addition to the team. Companies these days are very vocal and visible of their success, their employee benefits, and their mission. But repeating buzzwords found on the company website or social media pages is the opposite of what you want to do. Regardless of how passionate an employer is in advertising free meals, company outings, potential vacations, or paid time off, these are all examples of answers not to lead with. The employer is well aware of the perks and benefits offered at their company. Highlighting these only comes across as self-serving in a setting where you are trying to show the value you will provide to them, not the value you will receive as a result. The worst possible answer someone could give is that they just need a job to pay the bills. This just tells the employer that nothing besides a paycheck drives you; it’s a clear red flag that your addition would be detrimental to their team. You should instead focus on how you identify with the company. Are you a lifelong user of their service or product? Do they have a mission or cause that resonates with you? From what you’ve researched online and in person, do you have a lot in common with their employees? It is essential that you communicate any kind of fit within their company culture in your answer. 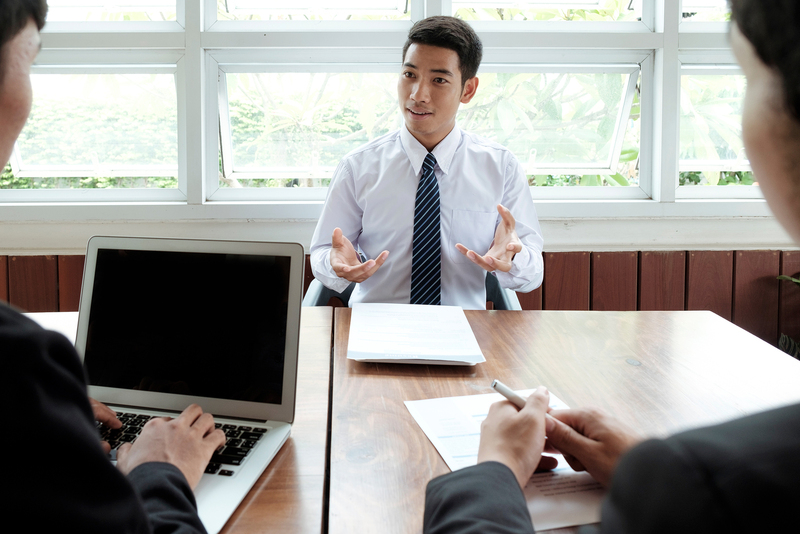 If you find yourself in a job interview in the near future, one of the first questions you will likely be asked is, “Tell me a little bit about yourself.” The purpose of this interview question is to learn more about a candidate, and this question specifically serves as an easy way to begin the conversation. No one knows you as well as you do, so why do you need advice on how to answer this question correctly? While any information you present regarding your background should suffice, how you answer this question is extremely important. You want to shoot for a balance. You don’t want to include overly personal or irrelevant details, but you also don’t want to come off as stoic or quiet. It’s okay to talk about a hobby or interest if it shines more light on your personality or the type of person you are. But ultimately, you want to focus on communicating what it would be like to work with you. If you have landed an interview, chances are high you have the hard skills the company is looking for. They want to know if you would be a good fit for their team and company culture, and while other questions could be asked to assess soft skills, having you talk about yourself puts the ball in your own court. The hiring manager can very quickly learn if a candidate is overly confident or arrogant, or if they lack self-esteem or are self-deprecating. If you are still struggling to come up with an answer, you can use the past-present-future format. Your explanation should include where you are currently, with this typically being the job you currently hold or last held. Then explain how you came to be there, and the variables that influenced that. These could include education, hobbies, family, or values. Lastly, close on where you hope to be and cite career goals or objectives. Common examples could include career titles, locations, or a general state of being. Again, your answer is yours and yours alone. When possible, connect any of your past-present-future examples with the role you are interviewing for. There is no cookie-cutter template that answers this question perfectly as the answer varies from person to person. But whatever your answer, be prepared to deliver it in a concise and relevant manner. Overthinking a question like this is easy. The last thing you want is to ramble through one of the first questions asked. Practice your answer ahead of time and be confident in your ability to communicate who you are. With Easter hopping around the corner, it’s a great time to discuss how many options you as a candidate have when it comes to a new job. There’s a shortage of almost 1 million people to fill jobs. So that tells you, as a candidate, you have some leverage, right? Well, yes! 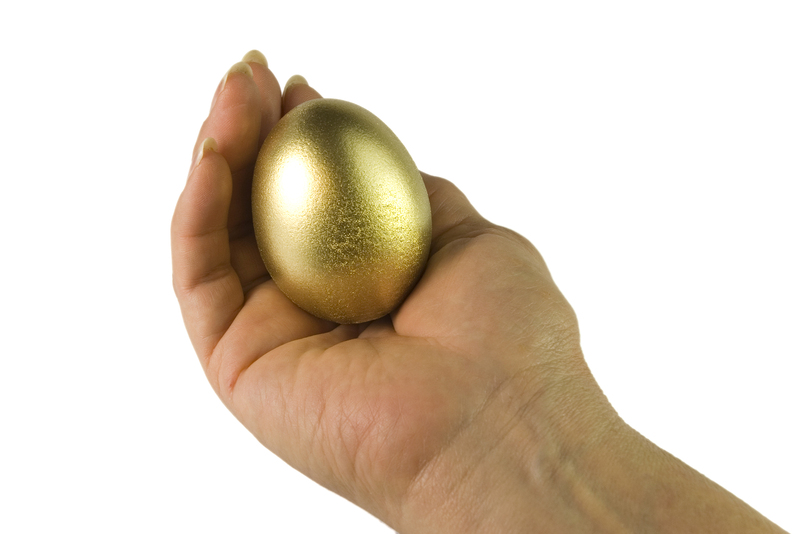 But if you’re really wanting to find a “golden egg” job and company, there are five things you should do. And they will help you not leave a rotten taste in hiring managers mouths! The first rule when looking, applying, and interviewing for a new job is: Never accept a job and not show up for your first day. If you have other opportunities on the table that you may want more, be transparent. Tell them you have other opportunities available. This way you can say you’re not going to decide until you hear back from them. And then, you’re being honest, not burning any bridges, and have options if the one job you really want is not offered to you. Remember, treating others how you want to be treated will get you so much further and will help you find that golden job you’ve been looking for. When you’re on the hunt for a new position, it’s imperative that you really read before you click that apply button. One, because you want to ensure your resume includes keywords for the position. This will improve the chances of it getting to the hiring manager. And two, so you don’t waste your time. Everyone is busy, and if you’re just applying to positions on a whim, you’re losing valuable time coming across the job and company that is the perfect fit for you! Before you apply and when you hear back about getting an interview, you must do your research. Check out the company’s ratings, examine the job duties, know this position and company inside and out so you’re more than prepared for the interview. This will also help you know if this position is the right one for you. Not only do you start to piece together what the company is all about, but you also start to understand what they’re looking for in a new employee. Which only helps you see the full picture. In the end, you’ll realize you’re also interviewing them to see if they are a good fit for you. Once you receive an interview, be present. This could be the next job that takes you in a totally different career direction or a job that helps you advance, but no matter what, this job will teach you so many things. Good or bad, jobs give you experience, and in an interview for a new one, you want to be engaged and express your interest. One of the best ways to do this is by having good questions to ask. If you’ve done your research, you probably have plenty of questions, but don’t forget about everyday ones. Who do I report to? Do we have flexibility in working from home? What are the normal day-to-day processes that I need to know? What’s one of the most difficult things about this position? These questions will not only set you apart, but they will also help you learn even more about the role. If you’re struggling to find the time to find your perfect position, check out our job board. Not only do we have hundreds of jobs at your fingertips, but we have great recruiters who are here to help! Happy hunting for your next golden egg! With so many jobs available today, people all over the country are leaving their current jobs in search of a new role. If this is you, chances are high you will have a job interview in your future. Like anything, practice makes perfect, and job interviews are no different. You will be asked any variety of questions, but, “Why are you leaving your current job?” will be one of the most common. While the question posed is simple, your answer will give great insight into the type of person you are; information the hiring manager craves. Whatever your reason, it paints a picture of what is important to you, and how you handle tough situations. While there is no guarantee you will be asked this, it’s common enough that you should have an answer prepared. You can answer in several ways, but it should be specific to you. Evaluate your values, career goals, ideal compensation, or company culture. What is most important to you and does your current job accommodate it? If not, you have your answer as to why you would like a new start. Your example should be professional, short, and to the point. And most importantly, you must ensure your answer focuses on the positives rather than the negatives. For example, if you are ready to move on from your old job because you dislike your boss or manager, outright saying so would be viewed negatively and will raise questions about how well you work with others. Instead, talk about the skills and experience you have acquired and emphasize that you are looking for a new opportunity that will challenge you. This shows that you have a positive outlook versus a pessimistic one and that you’re focusing on your professional growth. From here, the interviewer may ask you a follow-up question. They could ask why you didn’t pursue this role with your current employer or any other question that is sparked by your answer. Consider this and any other responses you think you may receive as you prepare for your interview. Just be sure you are specific and clear in your reasoning and be prepared to continually guide the conversation towards you being a great fit for the role. If you’re wanting to find your next position don’t forget to reach out to Johnson Service Group. We are here to help you and our clients find the perfect match when it comes to jobs! You submitted your resume and cover letter and were lucky enough to secure an interview. You’ve actively been performing due diligence, trying to get a feel for what it’s like to work there. You’ve selected the perfect outfit, and are practicing responses to commonly asked questions you’ve found online. 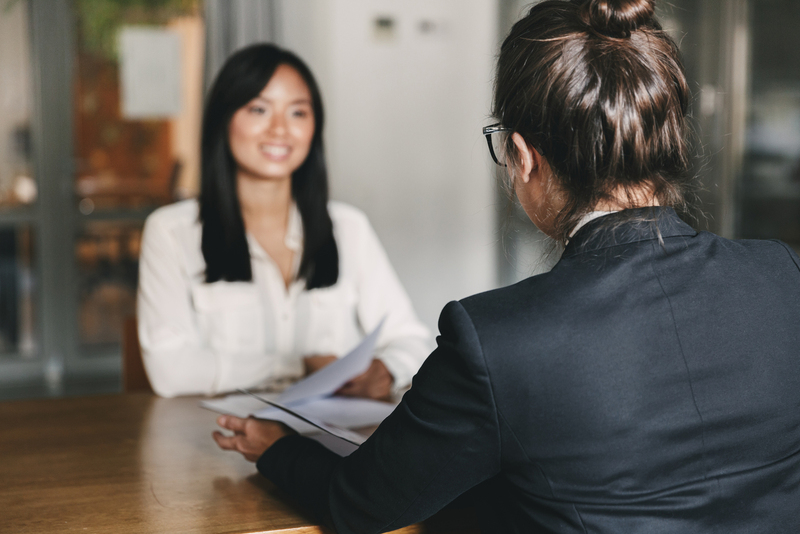 While these are essential in your preparedness for your interview, many candidates forget to prep details that make them stand out from the competition. Your hard skills are likely what moved you from the resume to the interview stage, but your soft skills and character are what hiring managers are most interested in. Soft skills are a mixture of your social, people, and communication skills that, combined with your personality traits, allow you to understand an environment and work well with those around you. A recent survey of over 5,000 talent professionals reveals that 91% felt that soft skills are important to the future of the workplace; soft skills topped a list that also included work flexibility (72%) and anti-harassment (71%). 45% of those interviewed indicated that bad hires were usually a lack of soft skills, with another 44% claiming it was a lack of a combination of soft and hard skills. As you can tell from these numbers, employers want to hire people who have soft skills. So how do you showcase yours and what can you do to prepare this information? Leading up to the interview, practice is obviously key. While examples like researching common interview questions have been discussed, it’s key to practice talking about yourself because it’s harder than you think. Thinking internally, list your top three to five soft skills. They should be clear and specific, as you aren’t hinting at being adaptable, you are telling them you are adaptable. While apprehension is common because this can feel like bragging, it is exactly what this time has been allotted for. This is your chance to talk about yourself, rather than counting on the hiring manager to connect the dots on their own once the interview has concluded. Now that you’ve shared your soft skills, you need to back it up. Words mean nothing without evidence; the hiring manager likely won’t take your word on being adaptable just because you said you are. We then back up this claim with a quick but relevant example. Try to showcase a situation when we embodied the soft skills discussed. Sticking with the adaptability example, one could share a story about taking on more responsibility in a previous role. Just be prepared to explain any example you give. The best way to ensure your example accomplishes what we intend is to practice ahead of time. If you find yourself in a job interview, there is a strong chance the hiring manager will ask you this question. Or, at least a similarly phrased question. This inquiry can flood you with all sorts of anxiety and can derail even the best interviews if you’re not prepared. The hiring manager knows that nobody is perfect. So why highlight weaknesses in a setting where you want to come across as qualified and likable? 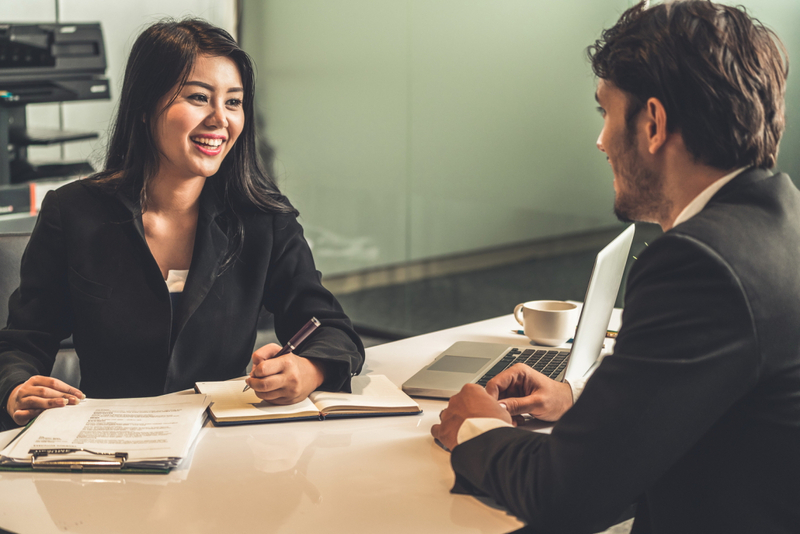 While the bulk of the interview will be composed of discussions centered around skills, experience, and whatever else the candidate feels qualifies them for this new role, the hiring manager is trying to pin down whether you possess the soft skills needed to join their team. While hard skills like computer programming will be evident from examples of your work, soft skills reveal themselves through interaction. The question regarding your weaknesses is meant to highlight your honesty, self-awareness, and willingness to learn and grow (or lack thereof). These three characteristics will give a good indication of what it will be like to work with this person; information that is critical to the success of a team or business. In this situation, how you answer is often more important than what you answer. By asking the question, the hiring manager is looking for an honest answer that shows you’re aware of your shortcomings but actively looking to learn from them and improve. Just ensure that the weakness you give is not a critical component of the job you are applying for. You can ensure this by quickly checking the qualifications on a job description. Sticking with the programming example, a prospective programmer shouldn’t answer attention to detail, as this is a pertinent skill. Instead, referencing your nervousness around public speaking and the actions you’re taking to improve is what the hiring interview is looking for. Awareness and action are still key. Hiring managers are looking for red flags that indicate a lack of these. Any example that follows the steps outlined above should accomplish this. There is an answer to this question that is used time and time again. What people may not realize is that it is a clear red flag. And as a result, these candidates will still be job hunting. When asked what’s your biggest weakness, NEVER answer with something along the lines of, “I am a perfectionist.” People think they are cleverly disguising a strength as a weakness but instead come off as ingenuine or lacking self-awareness. Nobody is perfect and the hiring manager understands this. They just want to ensure that you approach your shortcomings in a realistic, constructive manner. This also includes weaknesses like being a workaholic or being obsessed with organization. Refusing to acknowledge a specific weakness will leave managers questioning what you are hiding. The labor market is hot, there’s no doubt about it. If you’re thinking about exploring your options this Spring, you have plenty to pick from! But just because there are more jobs available than people to fill them, doesn’t mean your interview is going to be a slam dunk. No matter how great the job market is, you still have to bring your A-game to every interview. And regardless of what industry you work in, there are still certain traits we often see in candidates who get hired. Here are four of the most common traits of those candidates who get hired. One of the best ways to make a great first impression is clear communication. When a recruiter or HR professional reaches out to you, respond promptly. We know that you’re really busy, but so are they. I am not saying you must drop everything and respond to them at once. However, the sooner you respond, the better the impression you create. We, unfortunately, see so many candidates fail to get hired not because of their skills or experience, but because of a lack of communication. 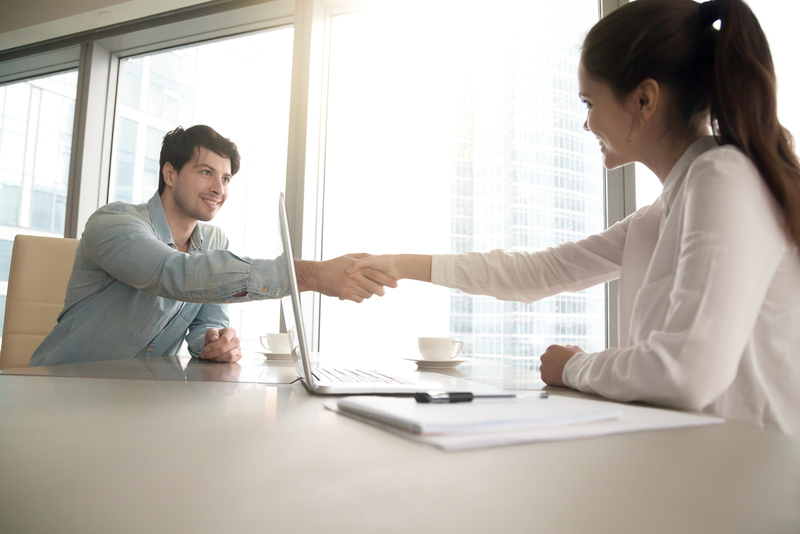 Communication is key throughout the entire hiring process, so be sure to respond timely so you don’t hurt your chances of receiving an offer. It’s essential that you do your due diligence before an interview. Go online and hop on the employer’s website. Spend a few minutes reading some articles, blogs, press releases, or watch some videos. This will help you create some great talking points in your interview and allow you to ask great questions. No matter how much experience or skills you have, don’t walk into an interview and try to “wing it.” I promise you it probably won’t go well. If you take some time to learn a little about the company, their culture, and their programs or incentives, you will walk into your interview ready to wow the hiring manager. Like I said before, learning a little more about your prospective employer will help you really impress the interviewers. If you can ask detailed questions throughout your interview, you will be in good shape to receive that job offer. If at the end of the interview you are asked, “So, what questions do you have for us?” and you just sit there with a blank stare, you can kiss that offer letter goodbye. I cannot stress this enough. No matter how great you are, you have to show humility throughout the hiring process. If you don’t, I promise it won’t go well for you. Even if you’re the best at what you do, if you come across as arrogant, you probably won’t be receiving an offer. If the interviewers cannot develop a connection or conversation with you, no matter how great you are, chances are the employer will move on. 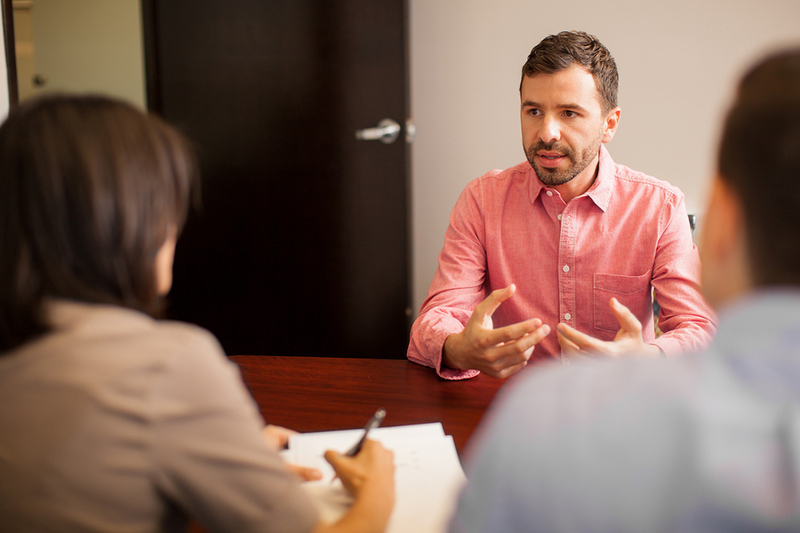 If you are serious about the position, make sure you demonstrate these four traits throughout the interview process. While I’m not encouraging you to pen a note bluntly stating, “I am the best,” you should convey gratitude for their time, and make a meaningful connection between yourself and the company or job. This is not another chance to pitch yourself, but rather a subtle opportunity to reiterate what you learned during the interview process and its applications to you. While sending a thank you note is important, its timing is key. The whole purpose of this note is to reinforce the idea that you are the best person this company could hire, but chances are, you are one of many individuals vying for this job. To avoid becoming lost amongst a crowded pool of candidates, send that thank you note an hour or two following your interview. Why so soon? Because following most interviews, everyone who was present often discusses you and your interview. That thank you note could elevate this conversation, reiterating why you are the best choice, and characteristics like promptness are never bad. Obviously, hiring managers care about your hard-skills. Often, they are what gets you from the resume stage into an actual interview. The thing is, soft skills are valued so highly because of their rarity. 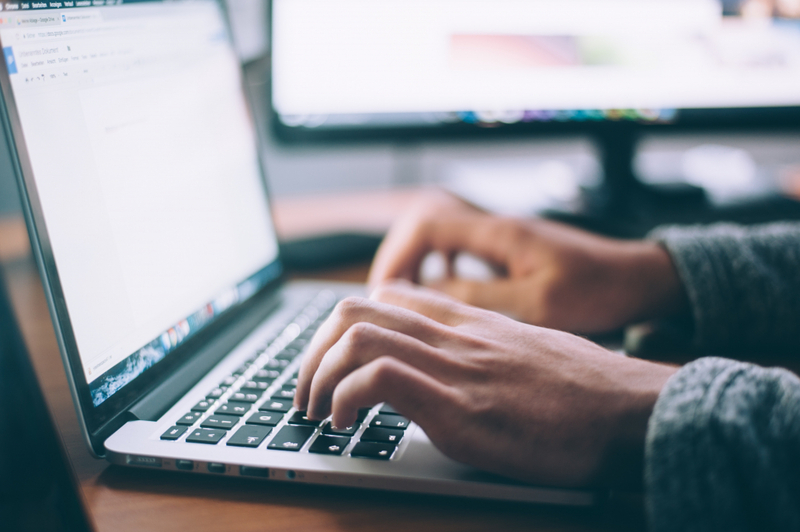 While an employer could teach you things like how to use their CRM software, certain personality traits like critical thinking are extremely difficult to learn. Often, you have them, or you don’t. Employers want not just hard workers, but employees who fit their company culture and provide value to a team. Your thank you note is just another opportunity to showcase your soft skills and prove you will be a positive addition to their team! When researching how to write a resume, there are literally millions of tips, pieces of advice, and best practices available. Don’t believe me? Google it! If you Google “how to write a resume,” there are 330,000,000 results. I’m sure a lot of those sources have great pointers and tips to craft the perfect resume. However, there are tons of resume myths out there that can actually hurt your chances of landing an interview. 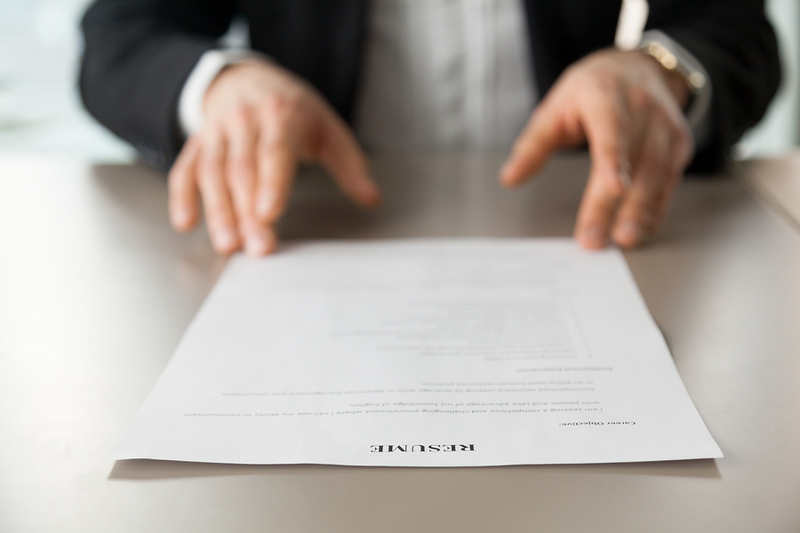 Here are three of the most common resume myths to avoid. A lot of people believe that you need to include references on your resume. That’s simply not true. No hiring manager or human resources professional will contact your references until you get to the final stages of the hiring process. You don’t even need to put “references available upon request.” This is honestly just a waste of space on your precious resume. If checking resumes are part of the employer’s hiring process, they will request them when needed. So many people to this day still believe that your resume must be under one page. The only time this is true is if you’re fresh out of school and don’t have a lot of working experience. But if you’re well into your career, say 25 or 30 years, there is absolutely no way you can cram all your valuable experience onto one page! Don’t do yourself an injustice by trying to cram 30 years of work, school, and life experience on a single page. If it’s important and relevant to the job you’re applying for, don’t delete it just to try to shove it all on one page. I’ve heard of a lot of people who think you should only include 10 to 15 years of working experience. This is simply not true, either. If you are well into your career, why would you cut part of your experience out of your resume for no reason? Now, I am not saying every little piece of work history must be on your resume. But if you are a seasoned professional, you can probably take off summer jobs or internships you had in college. A good rule of thumb is if the position is relevant or demonstrates value to the job you’re applying for, keep that work experience on your resume. If it is completely irrelevant to the job, you can probably safely remove it. If you have anymore resume questions, check out all of our great resume resources!